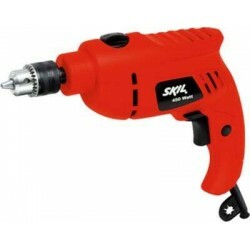 SKIL 6510 Impact Drill 10 mm, 450W, 3000 rpm price list. 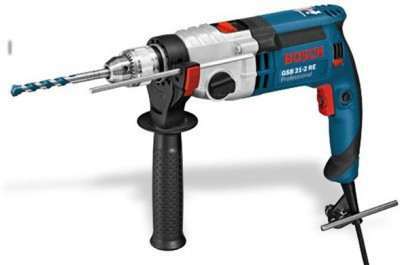 Designed for hammer drilling on concrete, brick, stone, wood, plastic or metal, this impact driver from Bosch-Skil comes with easy-to-use features. 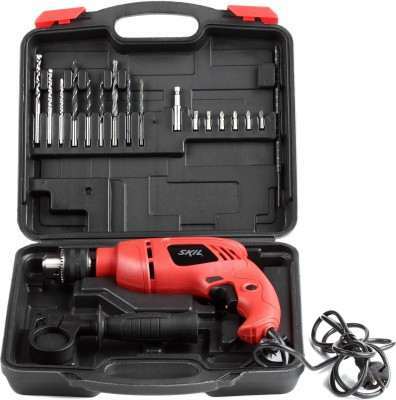 Well designed to provide optimum comfort while drilling through any type of material, this impact driver comes with a pistol grip handle. 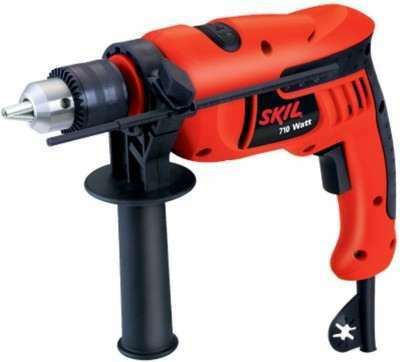 Now, you can bore holes into stone, wood or concrete effortlessly. 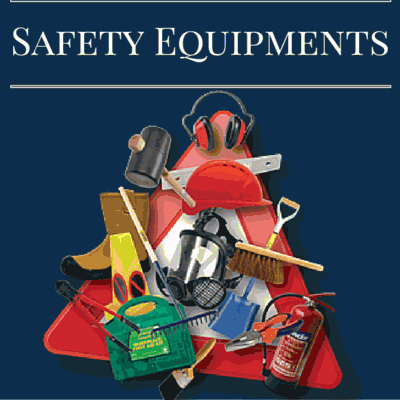 Use the auxiliary handle to get extra support to maintain better stability while using the tool. 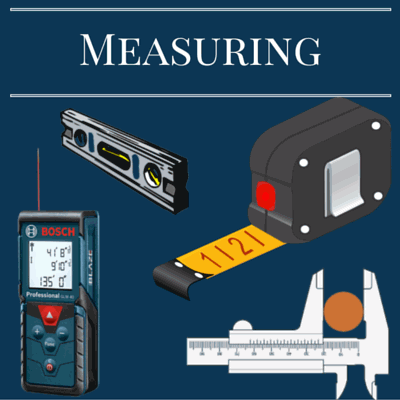 The depth gauge lets you measure the depth of the hole you are drilling. 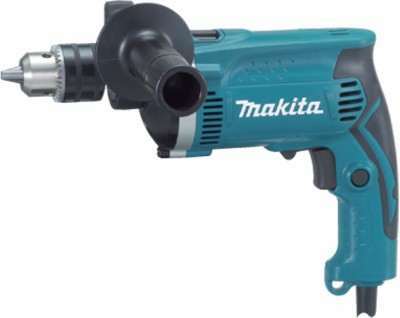 Utilizing 450 Watts of power the tool gets a maximum hammering action of about 48000 blows per minute, which is enough to perforate hard concrete or rock. 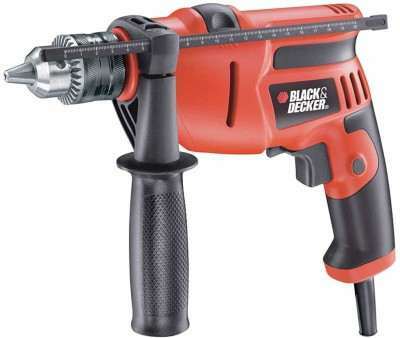 With a no load speed of 3000 rotations per minute you get enough momentum to create neat holes. 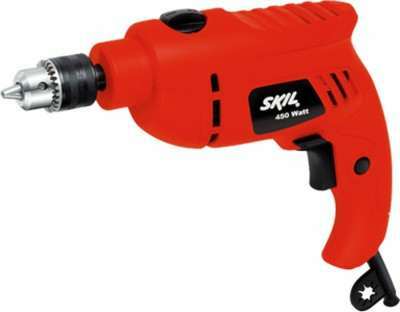 The drill is capable of making holes of 30 mm or 10 mm on wood or concrete and steel respectively. With the vibration control feature there is less vibration so that the stress on your fingers is reduced and you can gain greater stability. Use the rotation direction switch to select forward or reverse movement of the drill to drive in or retract. 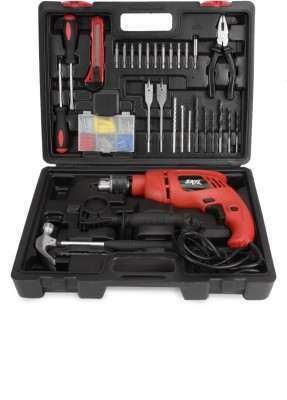 You can also use the tool as a screwdriver with the screwdriver bits provided.